IRES Legacy is here to provide the education, coaching, tools and systems to thrive as a real estate business owner! When you join IRES as an agent, you get instant access to all of our training, coaching programs and success tools. Take advantage of our live training workshops and online monthly business strategies video series ... you don't have to be affiliated with us! Just sign up below to access the training material and our current training schedule. We are committed to building the legacies of our agents and clients. We believe in creating clients for life and running a business by referral. We feel it is imperative to love where you choose to build your business and legacy. 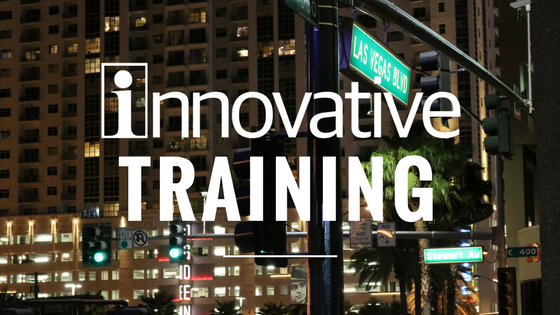 At IRES, we provide the training needed to succeed in your real estate career today. From our 30 Days to Greatness, Real Estate Business Boot Camp, Social Media Tutorials, Investor Training to Building a Profitable Team we have you covered! Our coaching starts in-house and is a customized, one-on-one approach designed to support your goals for your business. We believe in more than accountability coaching - we show you HOW to implement the business systems to succeed! We provide a complete real estate business solution to manage your business, It includes a robust IDX website, CRM, lead generation and the latest technology. Then, we show you how to master this system to build your sales pipeline, convert leads and run your business by referral. Our IRES Legacy agent portal gives you access to all of the marketing materials and tools needed to run your real estate business. Our Innovative Lifestyle Marketing packages are designed to bring out the real you and the unique value you provide to your clients and niche market(s). IRES provides residential, commercial, property management, short sale and REO services. 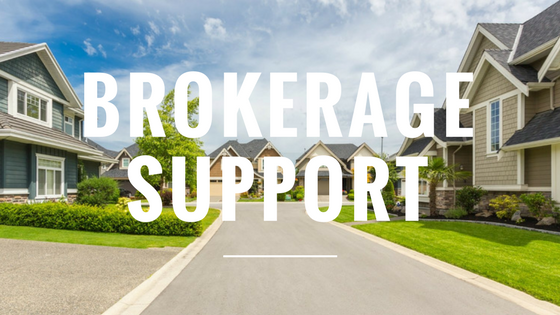 Your support team is committed to your success from broker support, full transaction coordination, compliance and risk management to exceptional team meetings and admin services. We are offering a $400 Referral Fee! Click here for more details. 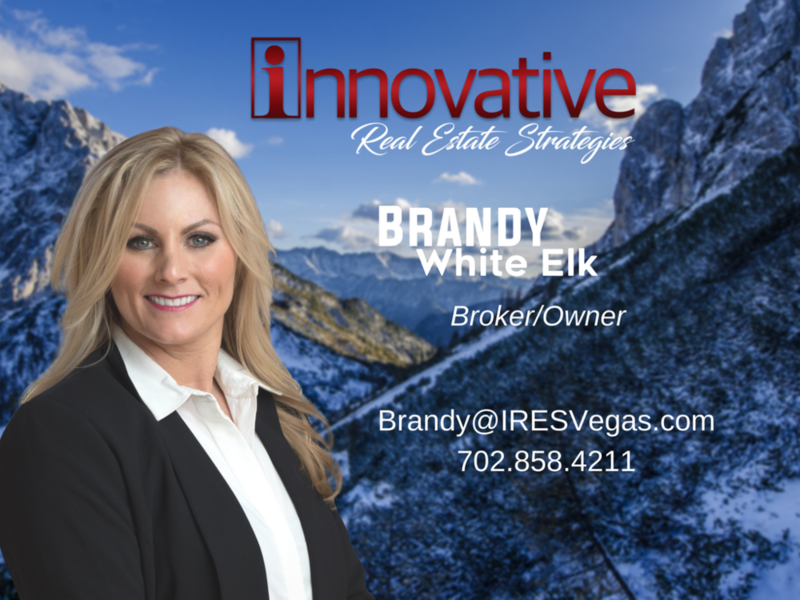 Founded by Brandy White Elk in 2008, IRES is a compassionate, results-driven real estate company that focuses on the success and goals of the families and real estate professionals we serve. Our signature program, 30 Days to Greatness, is designed to set you up for success from day one as an agent at Innovative Real Estate Strategies. We have the systems, checklists, and templates to ignite your business. “I have been in the real estate industry for 13 years and have worked for and with some of the biggest agents in the business. From the moment I met Brandy I was drawn in by her passion for the business and genuine care for the families she serves. From the very first day Brandy has offered encouragement and tools to help me grow not just as an agent but as a person. She stands at our weekly meetings and authentically cares how each and every agent is doing. It's not about the numbers or how much they are producing; it's about how they can grow and achieve your own financial, spiritual, and family goals and how she can help you reach them. I have taken so many of her lessons and applied them to every aspect of my life. I even go home and encourage my son and husband to use the tools that I have learned to better ourselves and our business. When you care about what you do, it's not a job; it's a lifestyle. Brandy isn't just a Broker at the top. She is here in the office with us every day, learning and growing right along with us. Learn more about IRES Inspires and our mission to give back through our work.